'The Square' was the big winner at the European Film Awards in Berlin on Saturday night. 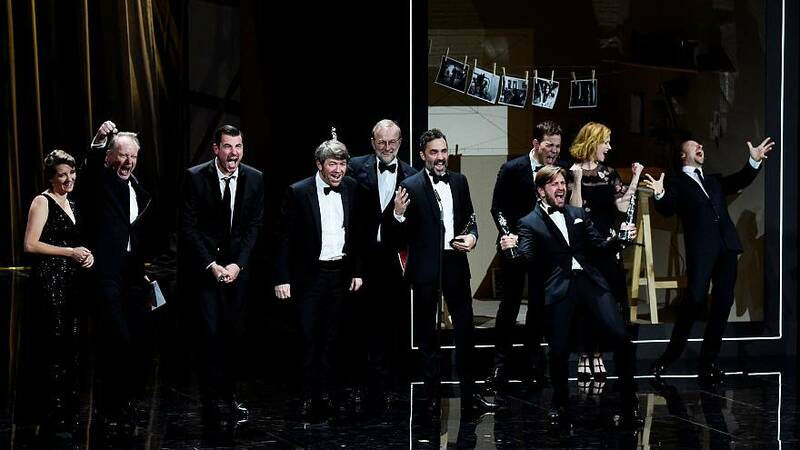 Ruben Östlund's Swedish art gallery satire won no fewer than six prizes including Best Director and Best Screenwriter for Östlund, Best Actor for its male lead, Claes Bang, and Best Film. The movie, about the curator of a museum filled with grotesquely pretentious conceptual art, had already won the top Palme d'Or prize at this year's Cannes Film Festival. Now it has the Oscars in its sights. Difficult to categorise, 'The Square' veers between comedy and thriller with moments of pure surrealism. As the museum’s handsome and successful but flawed curator searches for his stolen mobile phone, the story goes off into wild directions. The film’s highlight is a dinner for the museum’s well-to-do patrons where a performance artist leaps from table to table impersonating an ape - a bizarre, tense and ultimately violent scene. Congratulating his leading man, Östlund told Bang: "I was really, really happy that you won Best Actor. I think you really deserve it and then also I think, Best Director. "I was super happy because I think the competition when it comes to Best Director was really hard and there were great directors that were nominated." Bang was equally delighted with his award and the whole experience of making the film. "For an actor, to be trusted in that way, to sort of find out that you actually have that sort of trust with a director, that he actually allows you that time and space to investigate and explore...it has been amazing," he said. "It has been the most insane thing in my acting career." There were tears of joy from Alexandra Borbely who won the Best Actress prize for her role in 'On Body and Soul' - a Hungarian love story about two lonely hearts working in a slaughterhouse in Budapest. Wolfgang Spindler, reporting for Euronews from Berlin, described the success of 'The Square' as "an overwhelming moment for Swedish cinema". With its six awards, he said it "tops last year's most awarded film 'Toni Erdmann' which had five European fllm awards. Nobody expected this!"